Is the North Korean Leader Sleeping With the Dolphins? Was The Leader of North Korea Overthrown in a Coup? Okay, I gotta stop right there. The last sentence to me is the oddest I’ve seen in quite awhile. Wait… what? Did I just read that right? Even if they don’t mean literally… that’s still…. unusual at the least. 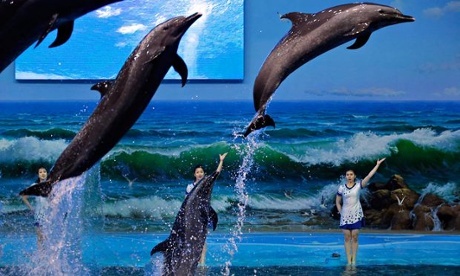 Not only did I not know that there were whole aquariums JUST FOR DOLPHINS, but… IN NORTH KOREA? That has to be the last thing I’d imagine being in North Korea. They can’t even feed their own people and freeze to death in winter with no heating fuel… but they have a whole aquarium of dolphins? Seriously? I need to double check this. This… can’t be real. Who names a dolphin “Pyongyang No.1”? Alright I have to admit this would be a lot of trouble to go through for a joke. The crowd of 3/4 men in black suits and military uniforms does lend it some credibility. I have heard it before, but recently some “official” newspapers have begun printing these stories. There may be something to it. Maybe there truly is a limit to which you can oppress and refuse to feed people before they revolt. 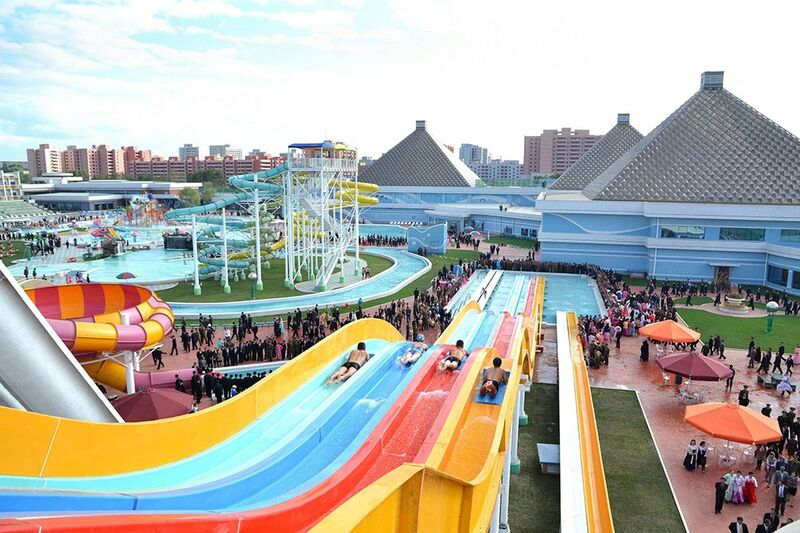 Or maybe it was just the long lines at the water park. 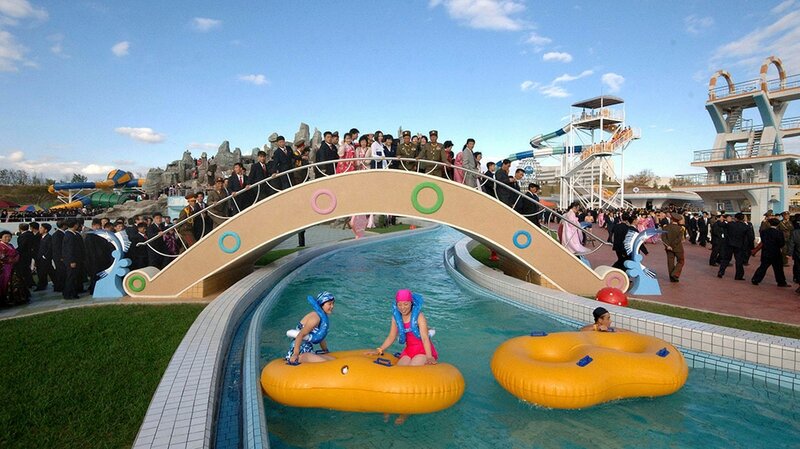 I’m not sure which is funnier though… the idea of a water park in North Korea… or the story that “Dear Leader” Kim Jong Un got so fat eating Swiss Cheese that he broke his ankles when he stood up. for him… lol. So allow me to rewrd this…. Thank YOU for the meal!! But yeah, thanx for spending soime time to talk about this matter her on your blog.